If you’ve been accused of “Acts of Domestic Violence” in Wake County, it’s time to lawyer up. That’s because you may be facing more than criminal charges for Assault, Battery, or Communicating Threats. You may also be subject to a type of restraining order that legal professionals refer to as a “50B” or DVPO – Domestic Violence Protective Order. In fact, the allegations that are made part of a Warrant for Arrest or Criminal Summons could very well also be alleged in a Civil Lawsuit (Complaint) against you. It’s not against the law to bring both criminal charges and a Civil 50B action at the same time. There are no Fifth Amendment Double Jeopardy protections against that. It’s OK if you’re confused by the legal processes and even the terms defense lawyers use relating to restraining orders. Criminal lawyers and family law attorneys alike may refer to them as a 50B, Protective Order, and/or DVPO. We’re all talking about the same thing. The stated purposes of such Orders is to prevent immediate serious injury, emotional distress, sexual abuse, and harm to the alleged victim. North Carolina recognizes several different forms of restraining orders. For matters that do not involve domestic violence or a domestic relationship, normally one would seek a Civil No Contact Order under N.C.G.S. Chapter 50C. Those are different in some important ways than a DVPO under Chapter 50B. In fact, the official form used is called a Complaint and Motion for Domestic Violence Protective Order. Like many other types of lawsuits, both a 50C No Contact Order and a 50B DVPO require allegations and issuance of a formal Civil Summons. And like lawsuits involving things like car wrecks and contract disputes, they also mandate Service of Process, which often is accomplished by the Sheriff. The Wake County Sheriff regularly serves copies of the filed lawsuit on the parties in Raleigh. That may be handled a bit differently for the associated criminal charges, where Warrants for Arrest and Criminal Summonses may be served by any law enforcement agency in North Carolina. For criminal charges, the State of North Carolina (through the District Attorney’s Office or “the State”) has the Burden of Proof. The prosecuting attorney must prove each and every element of the offense Beyond a Reasonable Doubt. That’s a protection given to all of us under the Constitutions of both the United States and North Carolina pursuant to the 14th Amendment. Reasonable Doubt, per the Pattern Jury Instruction, is doubt that fully satisfies or entirely convinces the finder of fact of guilt. In some instances that may be a Judge. Other times, the jury determines whether you are Guilty or Not Guilty. That’s the highest standard of proof in the land. It’s a substantial, heavy burden. It’s also substantially different than the burden of proof associated with Civil causes of action. The Plaintiff seeking a restraining order in North Carolina is held to a much lower standard: By the greater weight of the evidence. That basically means they are only required to show, “More likely than not” are the allegations true. 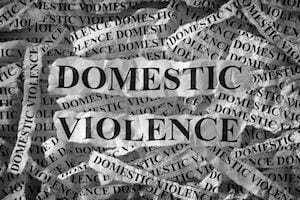 Do I Need a Lawyer for a Domestic Violence Protection Order? We think you do. In fact, we believe it’s a really bad idea to go into court by yourself, not fully understanding the implications of restraining orders pursuant to Chapter 50B. That is not to say an expunction (or expungement, we use the terms interchangeably) is available in every circumstance to every client. It’s not that unusual to be served with a Warrant for Arrest involving something like AOF charges (assault on a female) and also a Complaint and Motion for 50B DVPO. You may not even realize you have two separate court dates: One in criminal court and one in civil court. It’s one reason as defense attorneys we’ll want to review all the paperwork you received in jail or that was provided to you when served. And pursuant to N.C.G.S. Chapter 50B, once served, the DVPO hearing is required to be held within 10 days of service. That means the 50B hearing, which can also have consequences in criminal court, especially if you provide testimony, is often well before the first appearance on the criminal charges. As such, it’s a really good idea to seek legal representation buy an attorney with substantial experience handling matters in court. Years of practical courtroom experience, in addition to compassionate advocacy and hard work, matter. Can I be Required to Give Testimony in a 50B Hearing? Put simply, there generally aren’t the same types of automatic legal protections in Civil Court as may be afforded in criminal court. 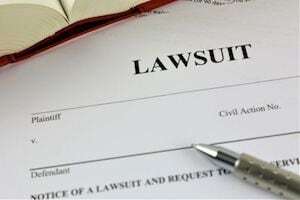 You may be called as witness by the Plaintiff (or they lawyer) in civil court. That’s not true in criminal court, where the State cannot call you as a witness against yourself. In civil court, you might be forced to Take the 5th, meaning you can assert the 5th Amendment Right against incriminating yourself. But that also means giving evidence might tend to show you broke the law. Clearly, that could affect the Court’s decision whether to grant or otherwise extend the temporary restraining order (the “Ex Parte” Order) beyond the initial 10 day period against you. Frankly, it can get a bit complicated, which is another reason it makes sense to talk to a lawyer without delay. If you face allegations of Domestic Violence, have pending criminal charges for Assault, Injury to Personal Property, Communicating Threats, or have been served with a Complaint and Motion for DVPO, John Fanney wants to help you.